I’m at least two projects or more from tackling my athletic wear (I sew by the color on the serger). But, I thought you might be interested in a great resource on sewing athletic wear. I managed to purchase most of the Singer Sewing Reference Library in one fell swoop a couple years ago. 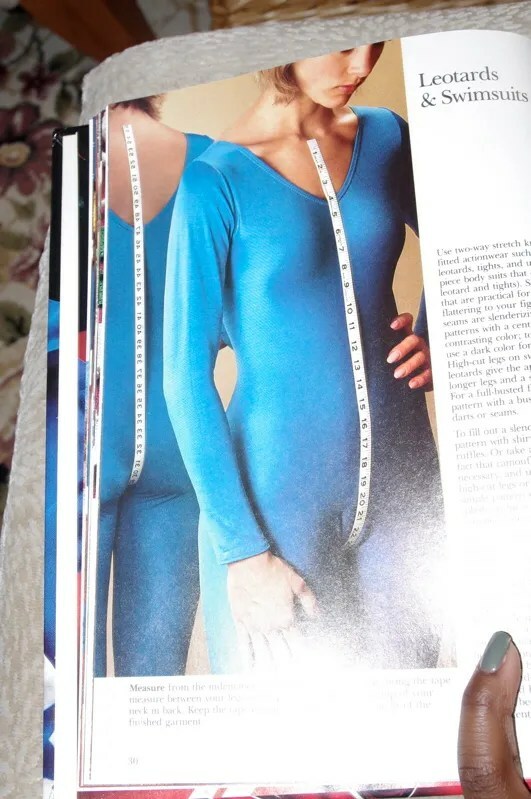 One of the books is Sewing Activewear. I’ve used it only a handful of times as it has great directions on sewing knit bindings. But, I thought I might give it a better review here for you. Well, and for me. The book is chockfull of information. Before my hunt for supplex, it would have told me the different qualities of cotton/polyester/spandex knits. It would have told me which is softer those or nylon/spandex. I would have read which are more durable, absorbent and which are good for cold weather. Who knew, right? 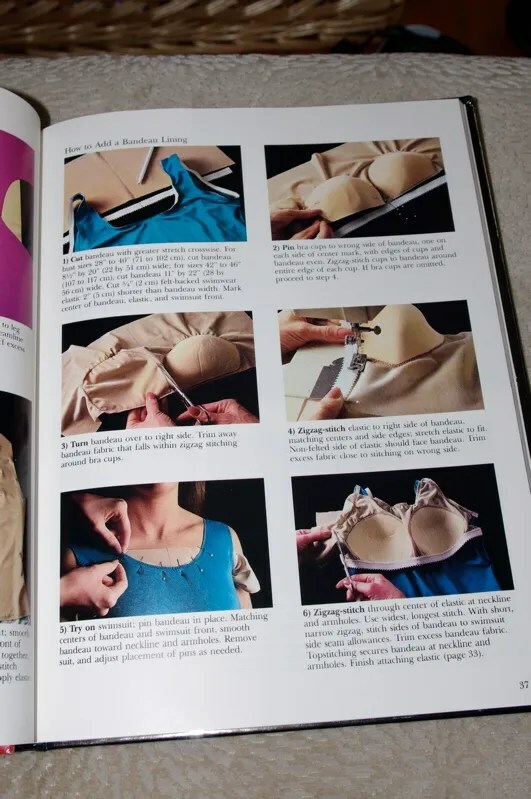 There’s even information on inserting a padded / sculpted shelf bra! I don’t even bother with these in my leotard. But, I may attempt one now that I know I can have some shape instead of bring smooshed flat! The book is split into five categories. Getting Started. This is a primer on material, notions, supplies, sizing, cutting. The basics. Actionwear. 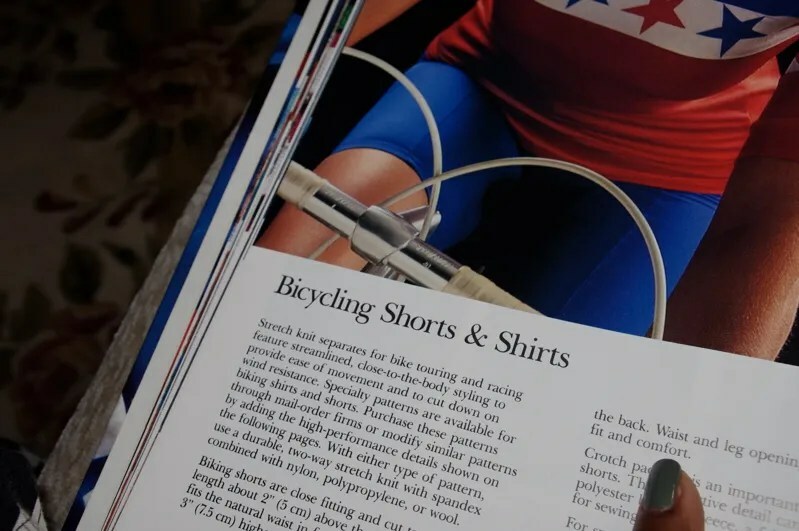 Leotards and swimsuits, making tights, how to make padded biker shorts, make bike shirts and inserting zippers into knit. I was all set to joke the tacky pointy pink 80s nails then saw I was wearing green nail polish. As I am living in a glass house, I shall not throw stones. Outerwear: waistbands, zippers, zipper pockets, making garment storing pockets, drafting a rain poncho, sewing polar fleece and working with Thinsulate / insulated outerwear. Personal Style. Umm, kind of gross. It’s the 80s so it cover making chevrons and nonsense with your piping. If you can live with the awful unitard and bright primary colors, this is a great way to get a grasp on athletic wear, how to alter patterns to be active wear and to give you some confidence that you can achieve RTW details at home. Oh. It’s also like 0.01 cents on Amazon. There’s even one in Spanish. Previous Post You Need a Man to Carry That for You! Sometimes I see this one at my local used bookstore and I pass is up because of my ,er… lack of athletic activity. It looks like a useful knit reference. When I see it again I will be sure to pick it up. Thanks for the review! Yep. I totally used it at first as just a knit reference! LOL I passed this one up at the thrift store a couple of weeks ago. Now I shall be kicking myself! This -is- a very good book (as much of the Singer library set). 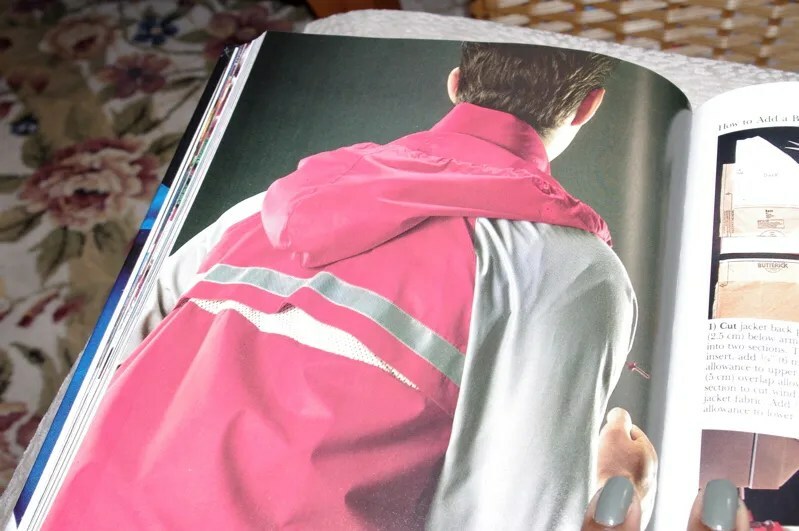 My main gripe with it would be that much of the current crop of technical outdoor fabric didn’t exist yet. To supplement that gap, I recommend Sewing Outdoor Gear by Rochelle Harper (Taunton), as well as simply Sandra Betzina’s More fabrics. The only thing missing from all print material is soft shell fabrics, but I suspect you’d get the best info about that by buying Jalie’s patterns designed for that. 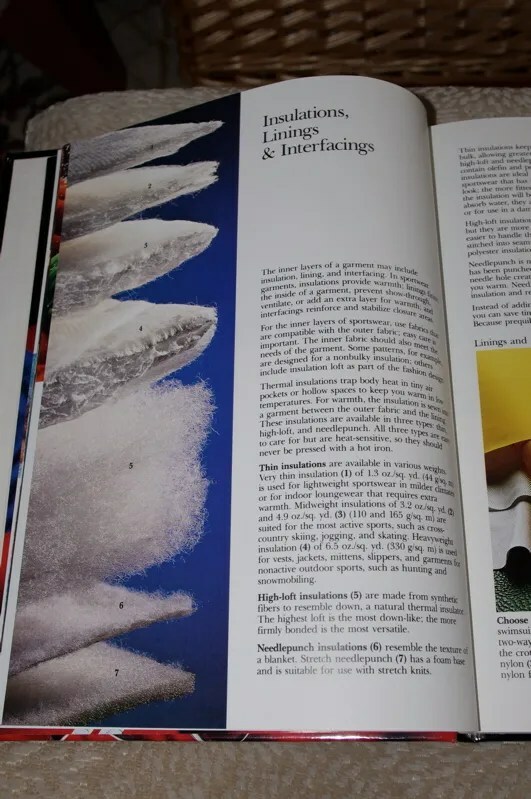 I find the sewing reference library a great tool, even if it is a bit dated. Thanks for the great review. 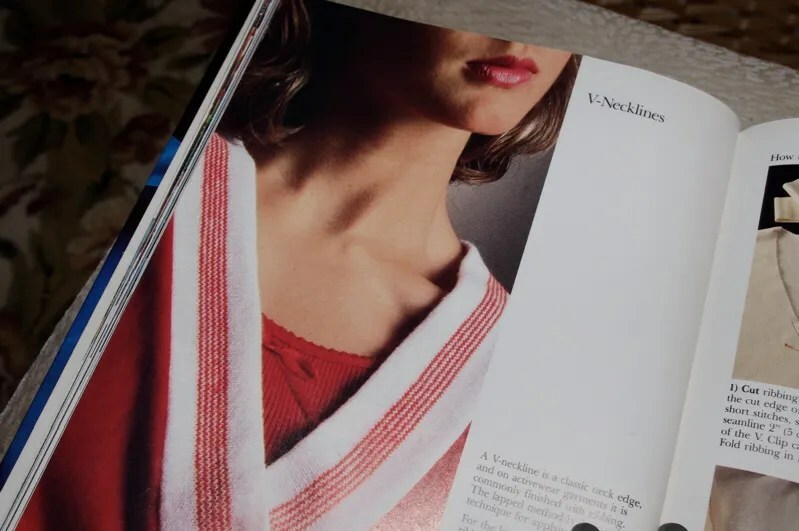 I remember these books :o) Hmm maybe I should get a copy since I want to delve into knits. Thanks C! I have several of the books in this series and this one looks like a good addition to my library since I want to make some active wear as well. 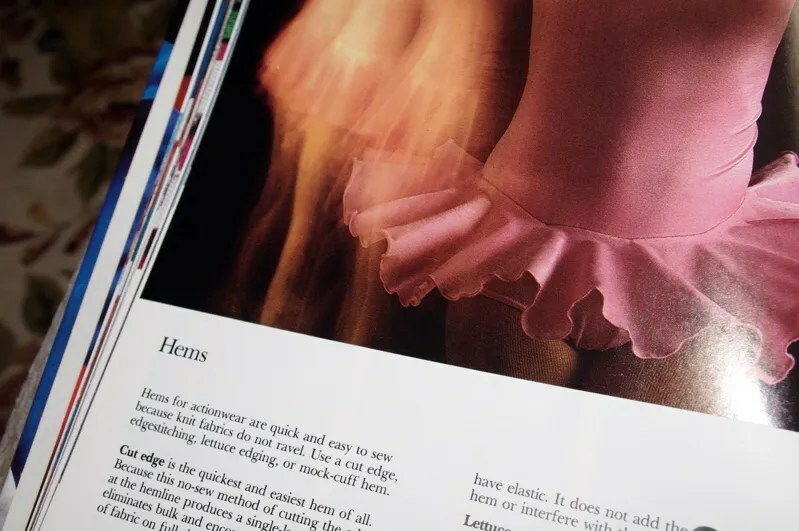 Another great books on sewing with knits is ‘Sewing with Knits: Classic, Stylish Garments from Swimsuits to Eveningwear” by Connie Long. It is a Taunton book. It is probably out of print but maybe available used thru Amazon. 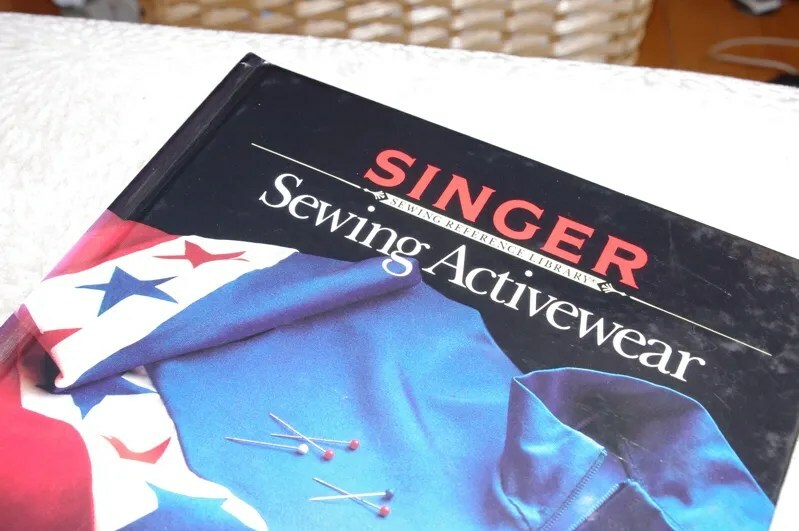 The Singer Sewing Activewear is definetly a well used text in my sewing library. Yes, the pictures are REALLY outdated but the information is still good. Great post about sewing athletic wear. It sounds like you found a great resource! Thanks for sharing. Why do I let you do this to me? I ran right over to Amazon and picked one up for $0.02. Plush shipping for a grand total of $4.01. But if it will teach me to make those awesome shorts, it will be well worth it! 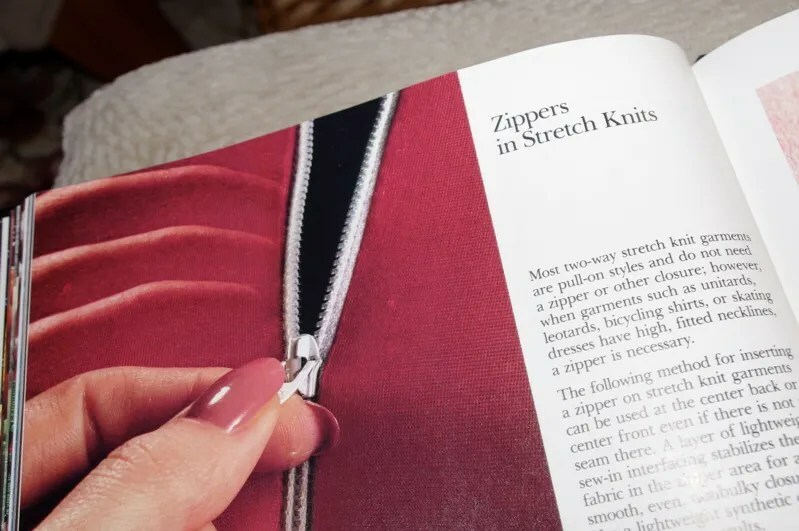 All of the Singer Sewing Reference Library books are a great source of information, even if the styles are a little dated. I have most of them. I have a handful of the Singer books. Great photography really adds value to the text, in this case. Yes, they are dated, but techniques never grow old and die. Although I didn’t buy this one. You inspired me to troll around Amazon and I eventually bought the Lingerie book in this series. Can’t wait to get it! Same thing happened to me when I went online to research other books for this post! I didn’t know there was lingerie in the series. I’m waiting for it to wind its way to me! I have the entire library (minus 2 books) as well and had to refer to this book when tackling my first swimsuit. It’s sooooo helpful—most of them are! didn’t even realize this book existed! thanks!